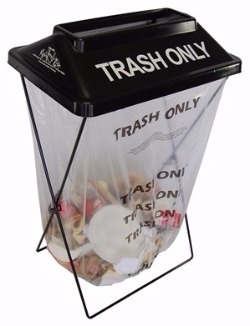 The CompostMax includes 5 green frames and 5 green hot stamped lids with a 16” x 4.5” restricted opening to accommodate compostable materials. Order BPI Certified Compostable bags from ClearStream. 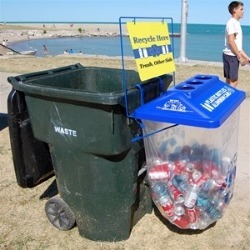 Everything you need to get started in one place - The Zero Waste Station collects single stream recyclables, organics & compostables, and trash. The SideKick is a ClearStream without legs. 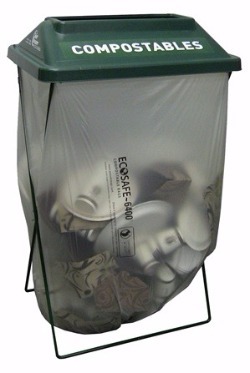 Two large hooks attach the SideKick to any tote or barrel, instantly transforming a trash container into a recycling station. The SideKick can be ordered with any lid. 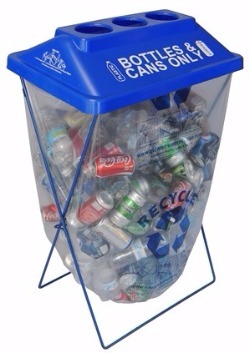 The Transporter provides an easy way to carry and store the ClearStream Ad Bins. 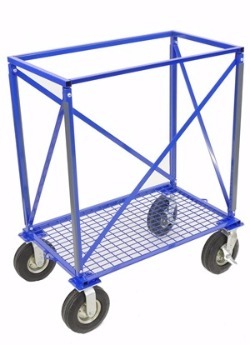 It holds 25 frames and lids and serves as both a cart at events and storage in between.